But even the threat of withdrawal is giving investors and purchasers pause, with some opting to preemptively leave Cambodia for perceived as more sustainable markets. Better Factories Cambodia, a United Nations-backed initiative, found in a recent report that labor conditions are improving in Cambodian factories, an important issue for some international brands in past years. But threats to their bottom lines and the desire to avoid associated problems of doing business in a country sanctioned by the EU could prompt many to divest or stop sourcing from Cambodia in the months ahead. A spokeswoman for Marks & Spencer told media last week that the brand would “cancel contracts and cease trade” with Cambodia-based garment producers if international labor rights standards aren’t followed. It is difficult to measure the health of the industry from official statistics. This month, the Ministry of Economy and Finance said that in the first eleven months of 2018 exports rose by 16.3%, with the garment sector growing 7.8%, faster than in 2017. But, only a month earlier, the Ministry of Commerce reported that exports grew by just 4% in 2018, worth US$11.2 billion, compared to 19% the previous year. Either way, the government is scrambling for protection against losing its EBA status. “We are too reliant on exports and foreign direct investment. This is a weakness,” Mey Kalyan, a senior advisor to the Supreme National Economic Council, told local media last month at the time of the Commerce Ministry’s report. “Events in the global economy can harm us significantly. We must diversify our production and our export market,” he added. For months, Cambodian ministries have championed diversification away from European markets, but it will be an onerous and economically painful transition. Roughly 40% of all exports from Cambodia’s garment and footwear sector head to European markets. The next three largest export destinations combined – the United States, Canada and Japan – account for approximately the same percentage. 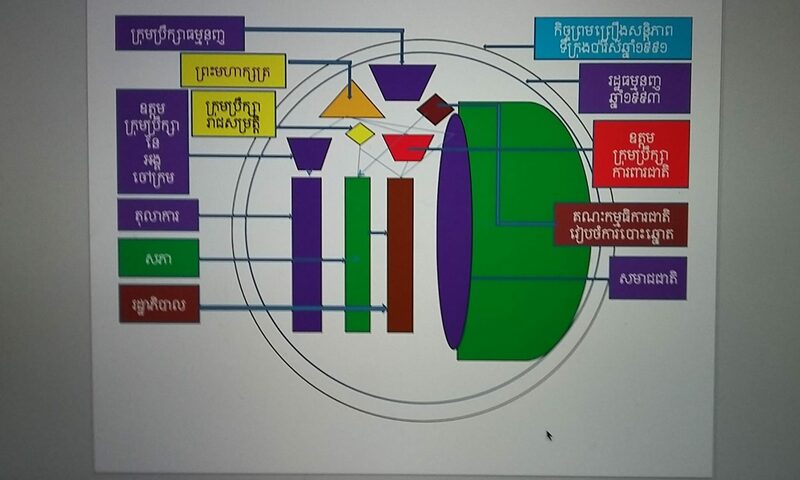 Cambodian negotiators are now thought to be pursuing a trade deal with the Eurasian Economic Union (EAEU), a bloc composed of Armenia, Belarus, Kazakhstan, Kyrgyzstan and Russia. Commerce Minister Pan Sorasak has said that these countries’ demand for winter clothing might provide new markets for Cambodian garment producers. There is also official talk that China and Southeast Asian markets could make up for any lost exports to Europe, though analysts have their doubts. China, Cambodia’s largest investor and closest ally, imported just US$182 million worth of textiles and clothing in 2016, chiefly because China produces the same type of clothing products. In sum, Cambodia exported only US$609 million worth of goods to China that year; the EU received US$5.7 billion in 2017 under the EBA scheme. Russia, the wealthiest nation in the EAEU bloc, imported just US$41 million worth of textiles and clothing from Cambodia in 2016. Total exports were worth only US$46 million that year. It is difficult to envision how the likes of China, Russia or even Vietnam, a key trading trade partner of Cambodia’s but another garment-producing economy, could increase their imports enough to fill the EU’s gap. Moody’s, a market ratings agency, warned in a recent release of the impact Cambodia’s loss of EBA trade privileges would have on exports. “Additional cost increases as a result of tariffs would undermine the price competitiveness of Cambodia’s garments exports unless they are offset by productivity gains,” the Moody’s report stated. A letter sent to the EU last year by five Cambodian trade unions asserted that imposing tariffs would directly affect as many as three million Cambodians: the 800,000 odd workers employed in the garment sector, as well as their families who depend on their remittances. The closure of factories, most based in the capital region, could have implications for stability. Mass protests of garment workers haven’t been seen since early 2014, when five striking workers were fatally shot by security forces. This month, some 1,200 employees at factories in Phnom Penh, which supply products for top international brands like H&M and Marks & Spencer, were reportedly sacked after “illegally” striking over new seniority pay guidelines. Hun Sen’s government is clearly keen to win the support of garment workers, who voted mainly for the CNRP in recent competitive elections, and has made a slew of pledges to improve their lot. One of its recent edicts requires factory owners to make seniority payments, a bonus based on length of employment, to workers every six months, as well as severance pay when their contracts come to an end. There are concerns that this seniority payment scheme, which could cost factory owners tens of millions of dollars when it has to be first paid in June, could prompt some to shutter operations in Cambodia and move to cheaper destinations such as Bangladesh. This is especially acute for smaller factories, whose owners might not have the capital at their immediate disposal to pay the bonuses. Last year saw a number of factory owners abscond from the country, saddling their employees with months of unpaid wages and prompting a government bailout for the workers.